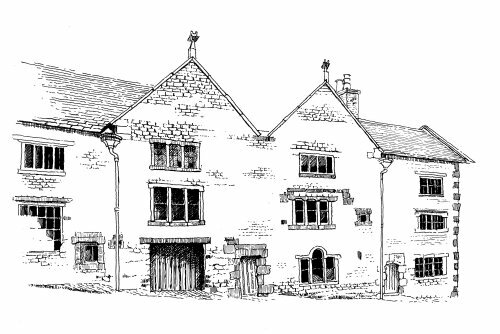 The aim of the Derbyshire Historic Buildings Trust is to identify neglected or abandoned historic buildings in or around the county in danger of decay or demolition, and to work for their preservation and modernisation without damage to their essential charcater. Throughout the late 1970s and early 1980s the Trust was involved in a project by the Civic Trust, to demonstrate what could be done to regenerate a decayed urban centre by pump-priming individual conservation projects and sympathetic modernisation within that centre. It was interested in the possibilities offered by Wirksworth town centre. Permission to publish these images has been given by DHBT. The first building restored under this scheme was 1 The Dale in 1981. 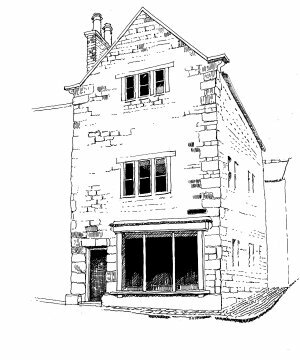 The building restoration was funded jointly by the County Council and the Development Commission to provide more office space in the town, with the Derbyshire Trust as agent for the restoration and later the management of the property. One set of the offices has become its headquarters. The restoration was completed in 1983, along with that of the Old Blacksmith's Shop lying opposite, just in time for the presentation of a Europa Nostra Silver Medal to Wirksworth for a broad programme of self help with innovative features. 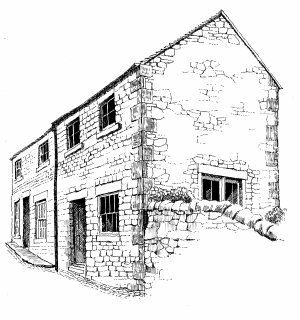 Though heavily involved with the Railway Cottages, in spring 1979 the Trust had begun the restoration of The Old Shop, 31-33 The Dale, as a single dwelling with attached parking, when the Civic Trust announced its commitment to Wirksworth and sent Gordon Michell to set up an office there. The two Trusts entered into partnership: the Derbyshire Trust was to provide the expertise to start renovation and encourage local residents to co-operate. It was also to purchase properties of importance in the town as a holding operation pending rehabilitation and sale. 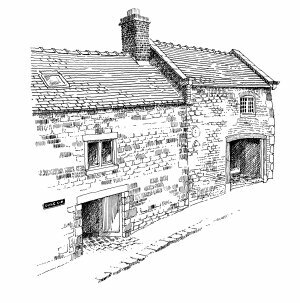 The buildings in Wirksworth included the restoration of Ryde's Garage at Dale End as a dwelling house (see another drawing), and major specialist work on 15A The Market Place, built as a lawyer's office about 1810. (See another drawing). The stonework of this charming Palladian building was in such a bad condition that the stonework facade had to be completely restored. Both buildings were completed in 1985. 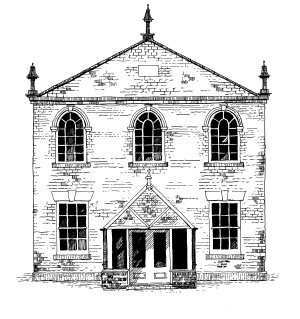 Two years later, in 1987, the Methodist Church in the Dale was sold as a restored shell to the British Trust for Conservation Volunteers.